Let’s welcome our beloved Liz & Yannick Vanhove to Houston. Lincoln Bar + Kitchen has great food & beautiful open patio with covered dance floor. HUGE FREE parking area in the back. Cover is FREE TOO! Happy hour 4pm-8pm. 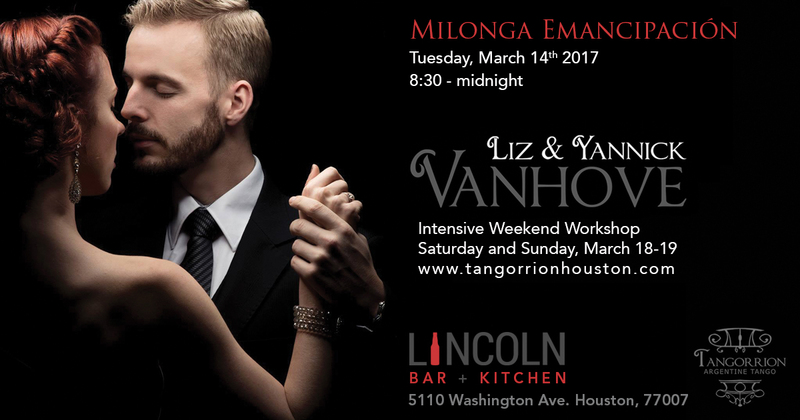 Milonga 8:30-midnight.